The Companion Bridge mission is to provide a loving and supportive community for people to connect share and assist one another on behalf of their companion animals. The Companion Bridge purpose is to address, educate, and provide online space to raise funds for people with either special needs companion animals or animals requiring significant financial medical attention that would otherwise be euthanized. Meet Gina S. An avid animal lover that has spent her last few years working in a specialty veterinary practice — living the everyday need for support for those companion animals. She has 4 dogs of her own, one of which she rescued and has quite the following in his own right– Olllie Lollie. She spent 20 years working at two large nonprofits and brings her passion for helping others in need to the grassroots level. Once in the position of not being able to afford care for her very sick dog, she swore she would do what she could to never see that happen if she had anything to do with it. Always the on the lookout for help and guidance along the way, she met the amazing Alice P to help set everything in motion. Together they have the skill, love and network to make it happen. We hope you take a moment and let us know how we can help those in need.. whether it be support financially or just a shoulder… we want to make that easier and make it happen. Alice is a local business owner and owner of a multiple special needs dog named Tonka. He has taken her love and appreciation for animals and their care to whole new level. It was his needs that prompted her to learn pet first aid/ CPR and then to return to school to complete a veterinary assistant course. In dealing with his multiple health obstacles she has become well versed across many different specialties ranging from ophthalmology to neurology. As a volunteer for a large breed rescue she has also seen and heard many stories of hardship and heartbreak. She has seen firsthand that even with animal insurance there is always still a need for help with the financial component of major medical events and or rehabilitation and therapy. During the journey with Tonka she has realized there is a real need to have a central place for resources and information for those with animals needing beyond “standard” care. It was at one of Tonka’s many specialist appointments that she met the incredibly capable Gina S and after a few conversations knew that she had the same passion, mindset and vision when it came to animals and their welfare. Together they are working to create an environment to inform and support people and their companion animals through difficult times. Robbin is a Registered Nurse from Forked River, New Jersey, where she lives with her husband Kerry and their seven dogs. Robbin has always been of the mindset that pets are valued family members. Over the years, she has spent much of her free time assisting with fundraisers for dog rescue groups, transporting dogs from kill shelters to safety, & fostering dogs. An experience with critical illness in their dog, Chief, several years ago, led Robbin & her husband to learn ﬁrsthand that some veterinarians are quick to suggest euthanization as a means of avoiding costly medical bills. This was not an option in their minds, & so they struggled but were ﬁnally able to pay off Chief’s medical bills. Realizing that many families are often in the same position of having to make such a dreadful choice, Robbin has turned some of her energies toward running online auctions to raise funds for rescue groups & individuals whose dogs had medical crises. Her experiences with running these auctions led her to wish for the means of holding a “perpetual auction” so that funds could always be available for pets with serious health issues, in order to help their owners afford the necessary treatments. It was online that Robbin met Alice P., the founder of Companion Bridge and a kindred spirit. This has become a perfect venue for Robbin to continue helping families with their pets’ medical issues. Meet Donna -Donna M is the owner of Golden Retreat for K9’s, an upscale dog boarding hotel in Rappahannock County, Virginia. Her dog boarding business opened in 2010 and was recognized this year in Washingtonian Magazine’s July Issue. In addition she is the rescue chair for Colonial Newfoundland Club Rescue and assists 2 other rescues with Great Pyrenees and Golden Retrievers. She has had dogs for 40 years and has learned much about their behavior, personalities and traits. In addition she has had training for administering medications and diagnosing illnesses in dogs. She has earned the respect of colleagues through hard work and dedication. Her previous professional experience was in the security industry selling and servicing security systems for large fortune 500 companies. In addition her previous experience involved marketing and advertising for security companies. Donna has multiple colleagues in the pet sitting industry and regularly consults with veterinarians, pet groomers and others. Trish R. is a public relations professional and animal lover who believes in the mission of Companion Bridge. 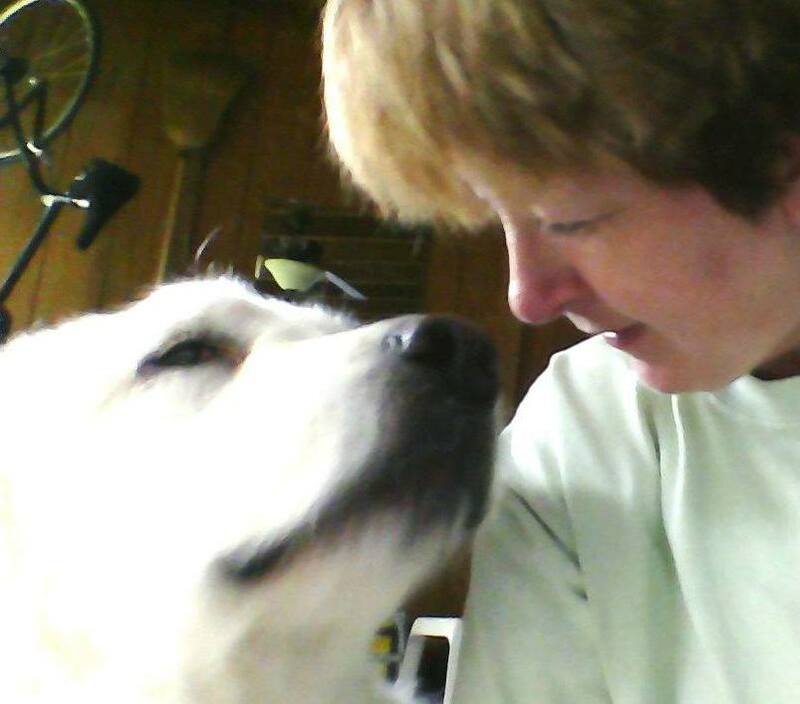 A big dog aficionada, she currently has three and has spent many years as a volunteer with Appalachian Great Pyrenees Rescue (AGPR), an organization that re-homes Great Pyrenees. Along with her husband, Trish fosters Pyrs, takes them to adoption events and arranges adoption events in the Maryland-Virginia area. She’s also been a failed foster twice – once to Sylvie, a sweet, pretty Pyr, and currently to Lily, a Pyr-Mastiff mix. 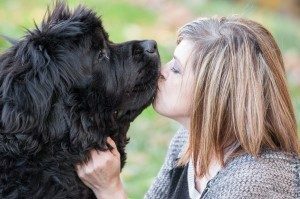 Trish is very familiar with specialty veterinary care, having taken her first Pyr to one of the only vet specialty centers in suburban Maryland, which was then in an old farmhouse. Now there are many more centers. Sylvie was a special needs pet whom everyone wanted to adopt until they saw her walk and try to clamber up stairs. Trish adopted her, led a fundraising effort through AGPR for surgery, and she and her husband cared for Sylvie until she couldn’t go on any longer. Now their oldest Pyr, Kaiser, who’s 12, has partial paralysis of the larynx and hind end, meaning he has to be lifted by his tail to stand up. He doesn’t complain, however, and teaches Trish something every day through his patience and joy in life despite his handicaps. Pam B. is an IT project manager and has a passion for helping animals and their parents in every way possible. She volunteered at the SPCA of Annapolis from 2010 – 2017, helping with fundraising events, adoption events, socializing animals, and the vet clinic. Currently Pam is a volunteer and foster parent at the Senior Dog Sanctuary of Maryland. Her volunteer efforts include editor-in-chief for the Newsletter, adoption events, fundraising, and conducting tours of the facility. Pam has also fostered through Pets with Disabilities, which is where she and her husband adopted their two tri-pawed dogs, Roo and Butters. Pam also has two rescue cats, Blu and Chloe. Pam has been volunteering with Companion Bridge over the past year, helping with fundraisers and community awareness. Angela M. has always had a passion for animals. Growing up she had many kinds of pets such as dogs, rabbits and hamsters. She also has a passion for photography and as a volunteer with Companion Bridge for the past 2 years her amazing pictures show up on the social media feeds quite often. Her work as a legal secretary for a local law firm is the perfect fit of professional experience to help with the varied paperwork necessary to run a nonprofit. Her compassion for others and their pets has made her a valuable member of the Companion Bridge community helping with everything from rallying support through social media to organizing and running local events.